Remember those old 70s collages made of random materials? Back then, art classes in junior high and high school were rife with making collages, (remember decoupage? ), painting rocks and wood, macrame, yarn art, spirographs, hooking rugs, and other artsy stuff! I just loved creating those craft projects! 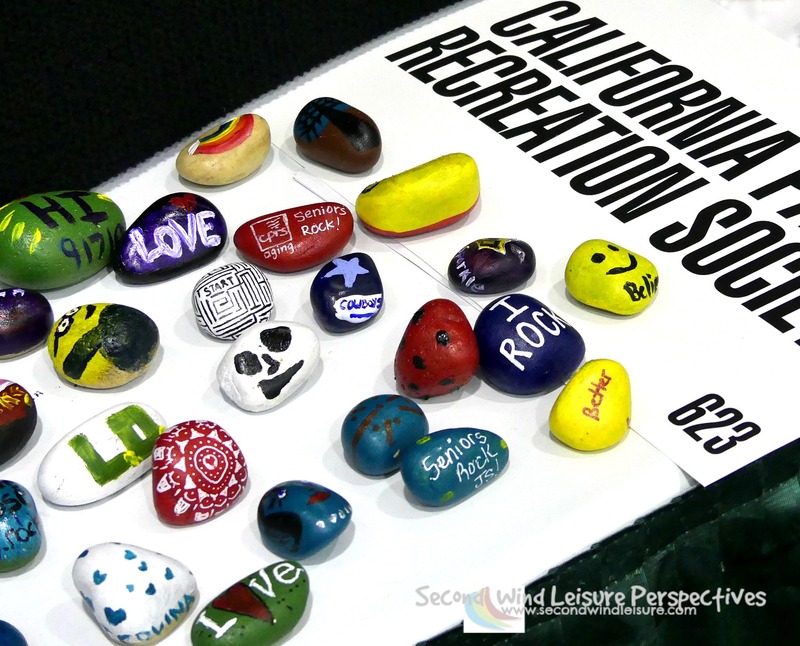 At the California Park and Recreation Society’s annual conference, I saw first hand the beauty and inspiration these hand-painted rocks can bring people just on this extensive table display. 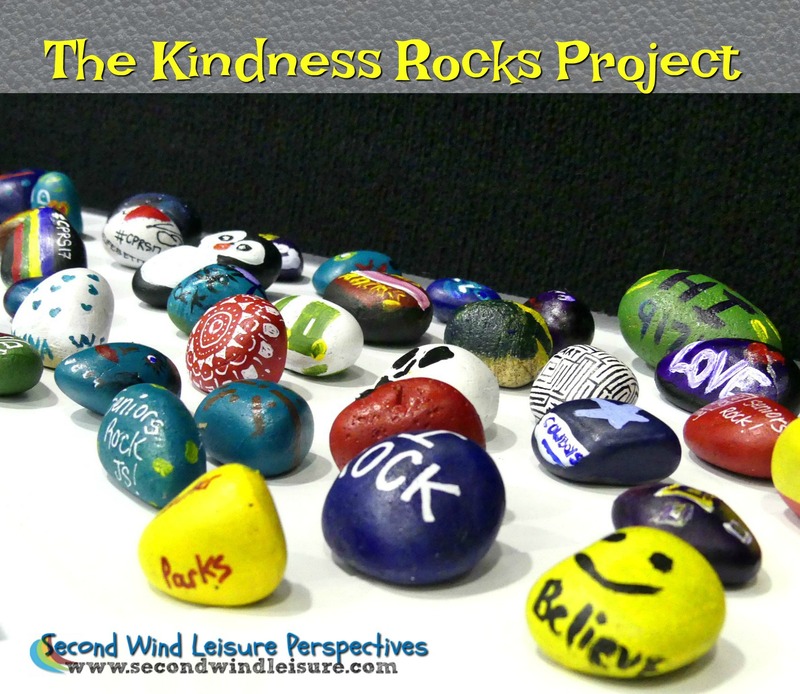 Does your community have a Kindness Rocks Project? Maybe you have found a painted rock yourself! These photos are submitted for the weekly photo challenge Collage. Why, thank you! I’m still nagging hubby to get my little library built, but he’s got other projects! And that is a great idea! brilliant and so simple idea – love it! I still get likes and comments to my post 😃 Great post, Terri. I totally remember decoupage and love the idea of Kindness Rocks #makeartnotwar ✌️❤️ Great post, Terri. co/2017/07/20/kindness-rocks-project-spreads-messages-of-hope/” rel=”nofollow”>Dream Big, Dream Often. Great post, Terri. Haven’t seen these for many year’s Terri. But, what a wonderful idea. Living near the beach, I’ve no excuse for picking up some pebbles and having a go. How fun, Hugh, hope you have fun spreading some sunshine! I have recently read about this ‘Kindness Rocks Project’. I agree that it is an amazing idea. So simple, yet so effective. Thanks for sharing this, Terri! I would like to see more of this in my area. My grandson painted rocks at daycare recently. I might have to paint a few kind messages today on some local rocks today. Great post, Terri. How cool, thanks so much! I had a pet rock once when it was all the rage.. I got quite attached to it and thought it brought me luck.. They look great Terri and I know that I have stone heart with I love you written on it and it has been on my desk, in sight for years. Pet rocks! Why didn’t I remember that? They make a great talisman for luck! Your stone heart sounds lovely, Sally! What a simple idea, yet one that could have such a positive impact on someone’s day. A lovely way to spread joy. Thanks for the post! It really is! I had heard about it, then saw the display, took photos, forgot about it, then the weekly photo challenge popped up and thought it would make a nice image. Thank you, Tina! I would love to see some of those rocks out and around. Oh yeah! It is!! They are popping up everywhere! We did find a rock but wasn’t sure what it was for so you just answered that question. Now you have me thinking I should try and start this in my Community to boost peoples morale. Yay, how fun! I encourage you to do it! I should have grabbed off the table (in the photo) so I could have one, LOL! I’ve painted rocks for myself, encouraged my grands to paint them, and assisted folks suffering from Alzheimer’s to paint on rocks. There’s something very satisfying about painting a tiny image on a substantial element that may outlive us. And to promote kindness – what a thought, that someday a hundred years from now, someone may pick up a rock I painted or helped someone else paint, and get the message we sent them. There is hope in that. Very cool that you engage in this! I’m very tempted to get started myself but I think I would need to get with a group. It sure is a great legacy! I remember all of this and love the painted rock project! 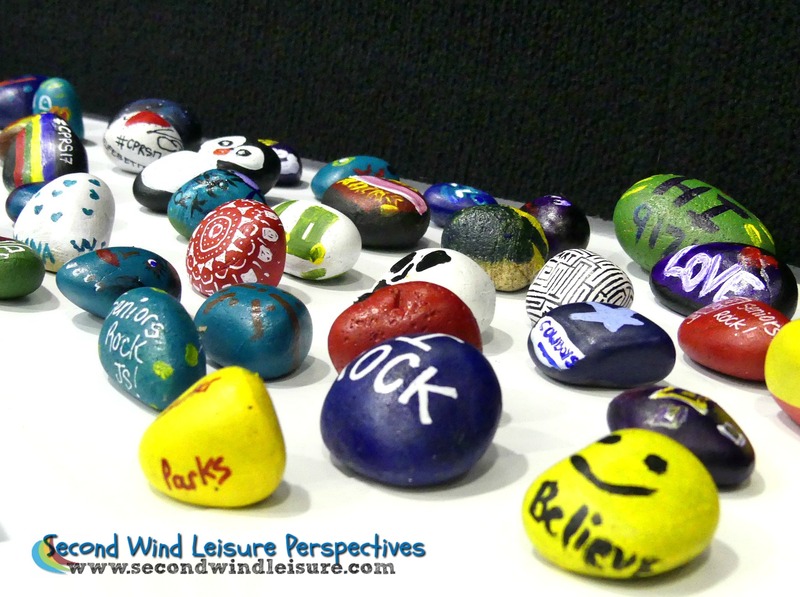 Painting rocks – brilliant! We used to paint rocks to look like animals and insects and we called them pet rocks. Yes, I remember pet rocks, how fun!! Love, love, love. This is cheap, easy and fun. It is a simple way to spread kindness. Doesn’t it just speak to our educator’s hearts? I have found random rocks similar to those in different places. They have other messages, but in essence, they are just as beautiful. Oh a real life participant! I will check it out,nice you have one in your area. Doubtful we have one here. Thanks for telling me! Not only do we not have one, this is the first I’ve heard of it. Very interesting! I would love to see one here in Sacramento, but I’ll leave that to my former park and rec colleagues. I love this idea, Terri!! Who doesn’t need a little kindness and positivity?? I have one that I’ve saved for several years that says hope! How cool, so nice to hear! Did you find it? No, it was given to me at church.